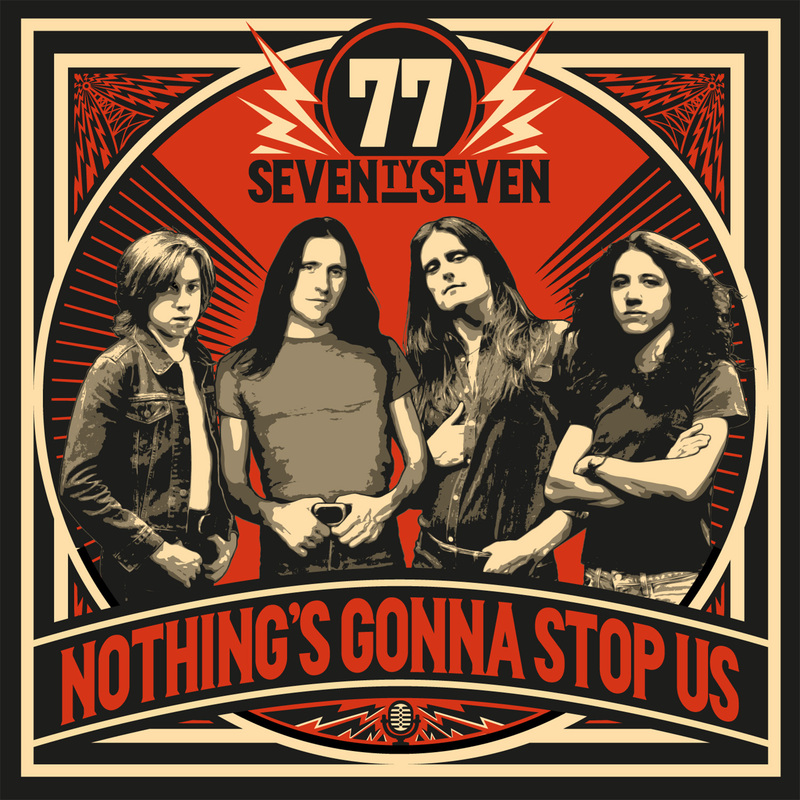 Artistically and aesthetically deeply rooted in the Seventies the Valeta brothers Armand Valeta (vocals and rhythm guitar) and LG Valeta (lead guitar) founded ’77 (pronounced Seventy Seven) as a direct reflection of the concept of the era they love. Over the past years ’77 didn’t just make a name for themselves with their studio recordings, but particularly with their high energy live shows that secured them countless European tours with the likes of diverse bands such as Bullet or Audrey Horne. Their new album “Nothing’s Gonna Stop Us” was produced by Jaime Gomez Arellano who has worked with diverse artists such as Paradise Lost, Ghost, Ulver or Cathedral. You figure this might sound too heavy for fans of real Rock’n’Roll? Wait until you get to hear the first track and you’ll be turned into a real believer that this was a match made in Rock’n’Roll heaven! At first the band was a little uncertain if Gomez was the right person for the job, but a first meeting eliminated all doubts. “We can gladly say that we’ve made a new friend,” says LG Valeta. Working with him wasn’t just smooth and easy, but he really understood the band’s vision and gave them creative input. personal, but in a positive way: clear the past and focus on the future. ‘Still Waiting’ and ‘No One Like You’ might sound kinda romantic or melancholic, but ‘No One Like You’ is more about being grateful for a special person – it’s about eternal friendship and loyalty.” After working hard on “Nothing’s Gonna Stop Us” in the studio the band is already itching to get back on the road to spread the Rock’n’Roll gospel.